Oklahoma Connection | Browne moved to Oklahoma City, Oklahoma with her husband when he purchased the Coca-Cola Bottling Company. Known as “Friend of the Redbud,” Mrs. Browne was the first to suggest and promote the Redbud as Oklahoma’s State Tree. Maimee Lee Robinson Browne was born in Texas and moved to New Orleans, Louisiana, before coming to Oklahoma City. While much of her effort was devoted to the welfare of children, love of her country and its welfare inspired a productive patriotism. She originated the practice of public participation in naturalization proceedings. Begun in New Orleans in 1922, the idea then spread throughout the nation. 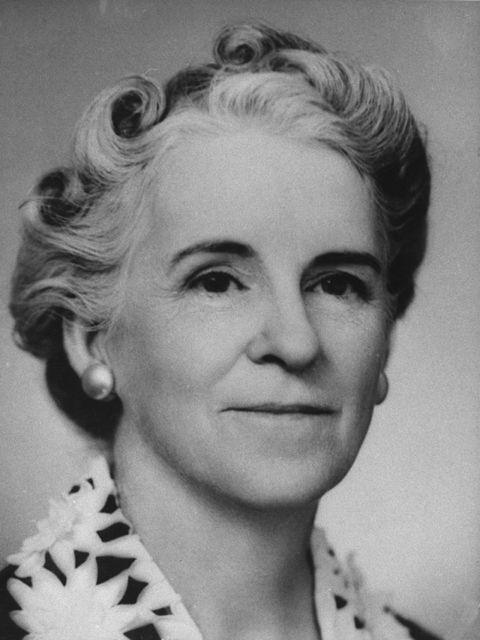 Mrs. Brown also was the originator of the type of insurance policy to provide funds for college education, as well as a thrift savings program in the Texas public school system. Through her efforts funds were raised to build the Memorial Colonial Bookcases to house the state Daughters of the American Revolution library in the reading room of the former State Historical Society Building. As a result, Oklahoma City has one of the best genealogical libraries in the nation. In 1931 and 1959, she served as president of the City Federation of Women’s Clubs in Oklahoma City and is credited with founding Rotary Ann’s International auxiliary for the Rotary club. The Oklahoma City chapter, Maimee Lee, is named for her. She was the first president of the Oklahoma Planned Parenthood Federation and was listed in the 1937 edition of The Who’s Who of American Poets. In 1951, she was named Oklahoma’s “Mother of the Year." See pictures of Maimee Lee Robinson Browne and other media HERE.